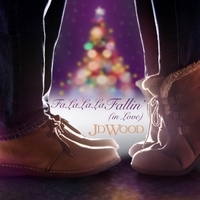 JD Wood is a songwriter and singer in various genres, including Pop, Country, Americana, and Worship music styles. JD Wood is, first and foremost, a songwriter. Influenced by the music of The Eagles, Hall and Oates, Stevie Wonder, and many others, he starting writing songs at nine years old. JD has worked hard to hone his skills as a songwriter across a broad range of genres, including country, pop, rock, and gospel. With a soulful voice and a style that draws from a variety of genres, he artfully infuses each song with his own brand of passion and energy. As a songwriter, JD has a number of country and gospel cuts to his credit. Among them, Sawyer Brown’s hit single, “They Don’t Understand,” earned a spot on their most recent Greatest Hits CD.